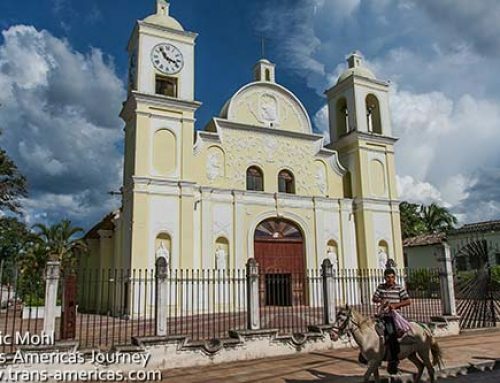 San Pedro Sula, Honduras is not a pretty town. Nor is it cheap or attraction filled or, frankly, particularly safe. 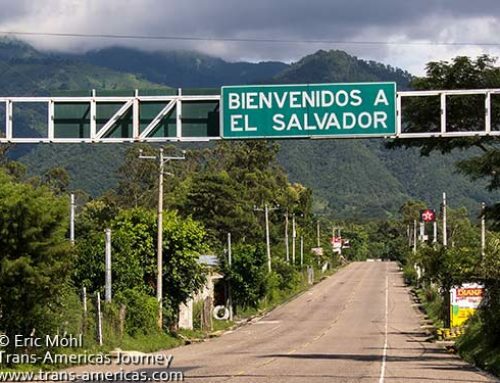 A Peace Corps worker was accidentally shot in the leg during a gun fight on a public bus in San Pedro Sula recently, precipitating a complete withdrawal of Peace Corps workers from Honduras. 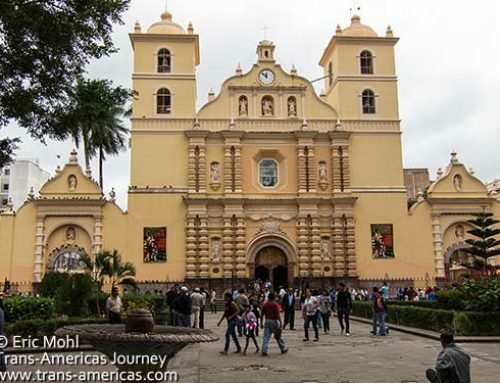 San Pedro Sula is, however, where the country’s biggest international airport is located and it’s possible that you will find yourself in SPS (as everyone calls it) at least for a night. We spent time in SPS on two separate occasions and here’s what we learned. If you want a hotel near the airport it does not get any better than Banana Inn. 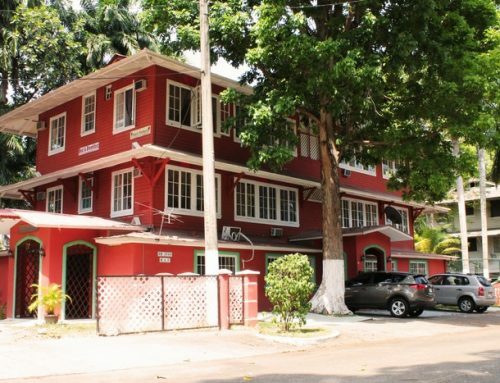 Locally owned, this 16 room hotel is built in what was an administration building for the United Fruit Company (aka Chiquita Banana) from 1930 to 2003, hence the name. Rooms have A/C and there’s a pool (did we mention that it’s usually sizzling in SPS?). 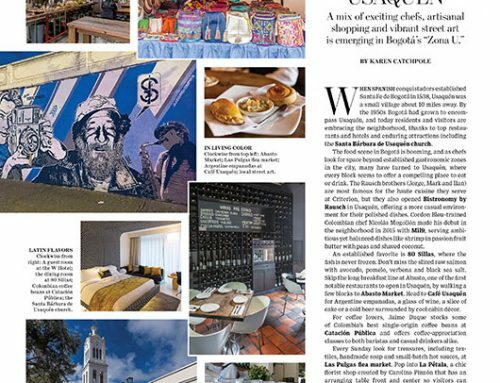 It’s also less than five minutes from the airport in a quiet town outside of the fray of SPS. If you need or want to stay in town, do yourself a favor and skip Hostal Tamarindo. Everyone talks about Tamarindo as the cheap place in town but we spent a night there on a crappy mattress in a noisy, dirty, hot room with a small, dirty, shared bathroom and even dirtier shared kitchen and paid US$30 for the privilege. Since then, a much better option has emerged. 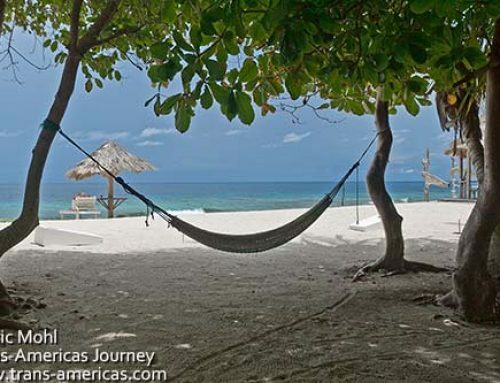 Check out La Hamaca Hostal which was recently opened by our friend Juan Carlos Paz. 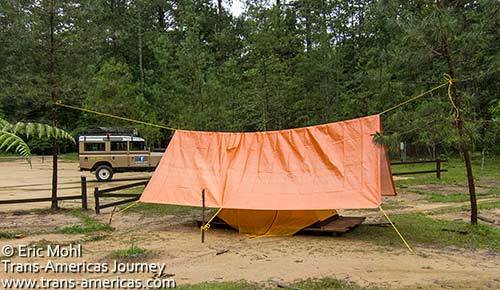 It looks awesome with good mattresses, spotless facilities, a pool table, movie room, Wi-Fi, an outdoor BBQ, stylish private rooms and dorms, and, yes, hammocks. 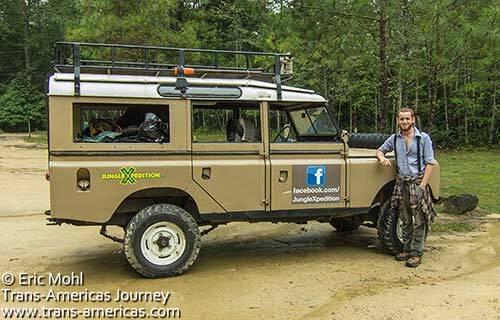 Juan Carlos Paz, the brains and brawn behind Jungle Expedition tour company and La Hamaca Hostal in Honduras. He swears he is not Amish. And speaking of Juan Carlos, we highly recommend his SPS-based tour company too. He created Jungle Expedition a few years ago, fueled by his remarkable energy and his passion for the natural areas in Honduras. 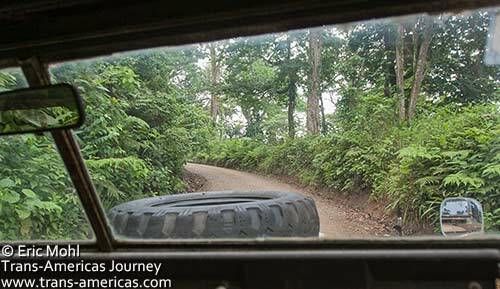 Heading to Cusuco National Park outside San Pedro Sula, Honduras in a vintage Land Rover driven by Juan Carlos Paz of Jungle Expedition. 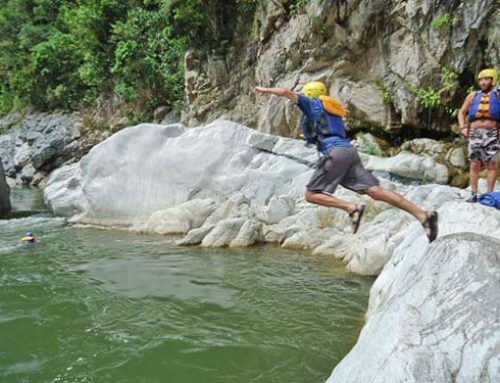 Jungle Expedition runs trips and tours all over Honduras but we were interested in escaping SPS. Believe it or not, there’s a national park just outside SPS so we jumped into a vintage Land Rover with Juan Carlos and his friend Eduardo, who’s a biologist, and headed for the hills. 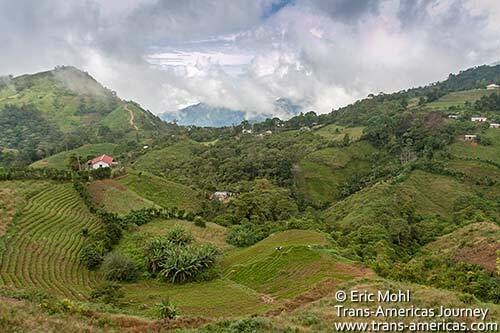 Just one of the views we were treated to as we drove up, up, up into Cusuco National Park above San Pedro Sula, Honduras. Within a few minutes we’d left SPS far behind and began climbing slowly and steadily up an increasingly rough dirt road until we were engulfed in clouds and blessedly cooler temperatures. We stopped in a tiny village to pay a visit to Vilma who brewed us up some delicious locally grown coffee which she grinds with cinnamon and black pepper–perfect with her homemade corn cakes which were even more delicious than they sound. 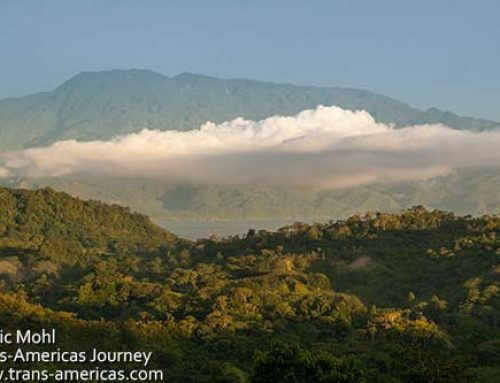 This is why they call it a cloudforest. Further up we reached the slightly larger village of Buenos Aires where a woman named Martina served us yet more coffee on an outdoor bench. Her dirt floor home was small and simple but her bench had a million dollar view of the hills and the clouds that call them home. Now that’s what we call lunch, served by a lovely woman in a village near Cusuco National Park above San Pedro Sula in Honduras. All caffeined up, we hit the trial to Toucan Waterfall. After about an hour of walking over an undulating trail through hills planted with coffee (more caffeine!) we reached the four-tiered cascade and its inviting swimming hole. 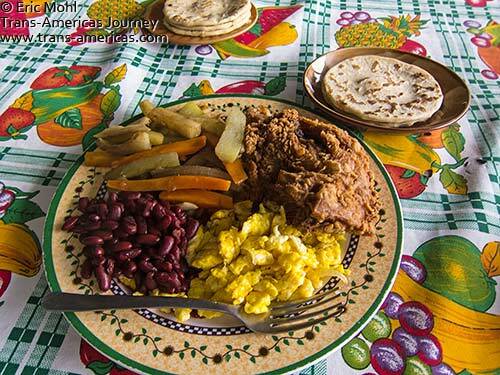 Back in Buenos Aires we feasted on fried chicken, red beans, scrambled eggs, homemade tortillas and vegetables at another woman’s house/restaurant before coaxing the Land Rover further uphill and through the actual entrance to Cusuco National Park. 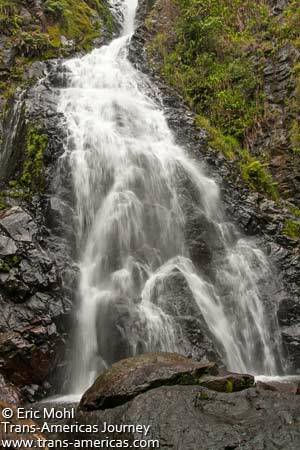 Toucan Waterfall in Cusuco National Park in Honduras. 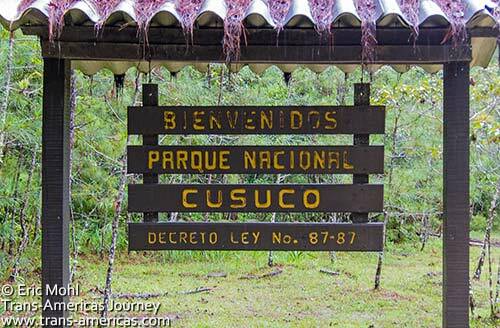 Cusuco National Park in Honduras gets virtually no visitors. Inside the park there’s a large covered area full of picnic tables, a flat expanse perfect for tents and a very basic dorm with a small rudimentary kitchen and an outdoor cooking stove. We had the place to ourselves. 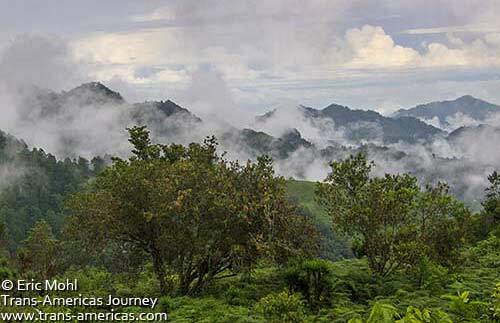 We had the whole place to ourselves when we visited Cusuco National Park above San Pedro Sula in Honduras. Visiting research teams studying the flora and fauna in the park (there’s a small lab/office for the students and scientists) are just about the only people who ever visit Cusuco National Park which was established in 1959 and covers 90.5 square miles (234.4 square kilometers) of cloudforest, semi-arid pine forest, and deciduous forest making it notable in both size and diversity. 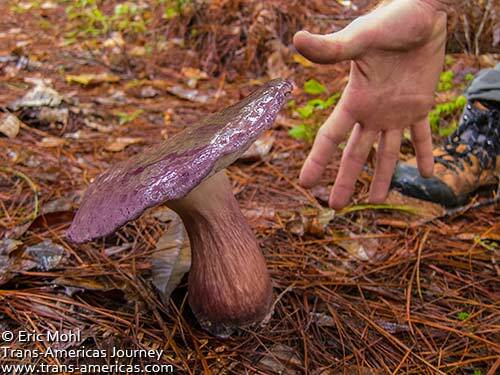 This giant mushroom in Cusuco National Park also had a groovy shiny purple top. Before dinner we all took a short night walk, then scarfed down the delicious homemade chilli that Juan Carlos brought up with him before hitting the hay. In the morning we warmed up some baleadas and enjoyed the national food of Honduras (a big flour tortilla filled with scrambled eggs and other goodies then folded in half and covered in butter) for breakfast before doing another short walk in the park over a trail that took us deep into lush rainforest that looked ripped from the pages of Lord of the Rings. Cusuco means armadillo and we did, indeed, see one scurrying through the underbrush away from us during the night walk. Quetzal birds have been spotted in Cusuco National Park too, but not by us. 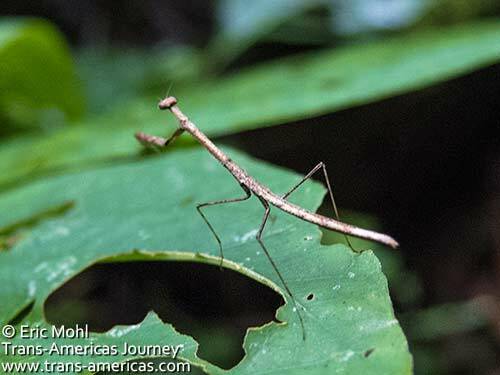 A stick bug doesn’t blend in so when it’s not among sticks. 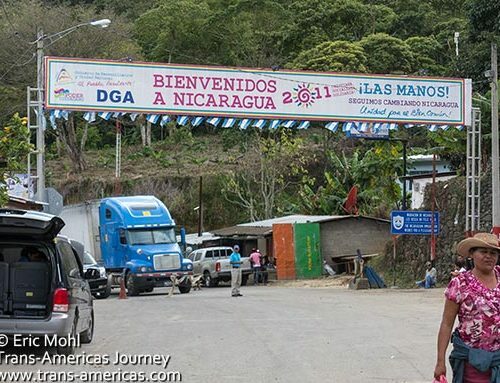 Juan Carlos, whose incongruous red hair and red beard make him look like an Amish man even though he’s 100% Honduran, isn’t satisfied with simply bringing people to this woefully under-visited park. He also wants to improve the lives of the people living near the park and to do that he takes matters into his own hands, distributing clothing, bringing in doctors, even inspiring a tourist he’d brought up to Cusuco to provide the small sum that was needed to extend electrical lines to the upper reaches of Buenos Aires village. 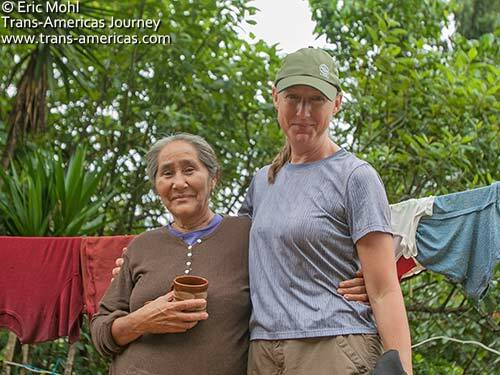 Karen and Martina who brewed up some tasty coffee for us in the village of Buenos Aires. No, Karen is not standing on a box. This has made Juan Carlos something of a minor celebrity in the area and he’s greeted with smiles from everyone. After spending a couple of days with Juan Carlos its clear to us that he would make the perfect Tourism Minister for Honduras, only he’s probably too smart to take the job. You guys are AMAZING!!! I loved this article!!! Congratulations and i hope you keep finding places like this one throughout your journey! 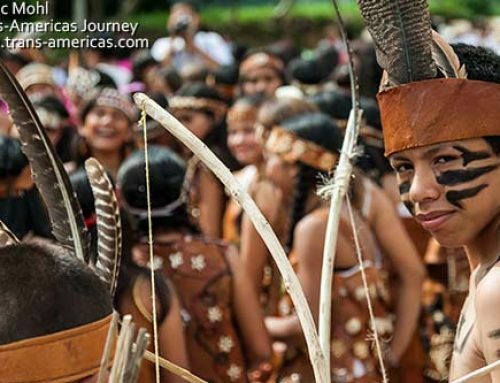 I am so happy to read this article related to what Juan Carlos and Jungle Xpeditions do. Last week, I did his 2 day Pulhapanzak tour and had a great time. 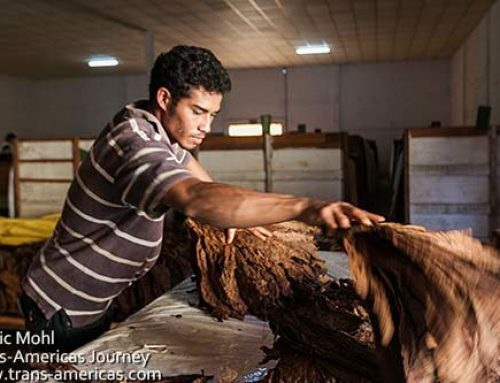 If you are in San Pedro Sula, make sure to explore the surroundings with Juan Carlos. You are going to have a fun and unfforgetable time. 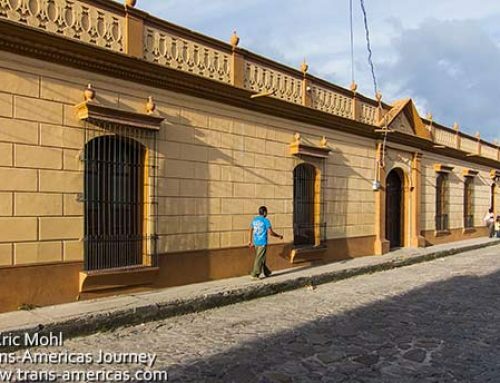 Plus, you are going to fall in love with Honduras and its people. Very informative post! 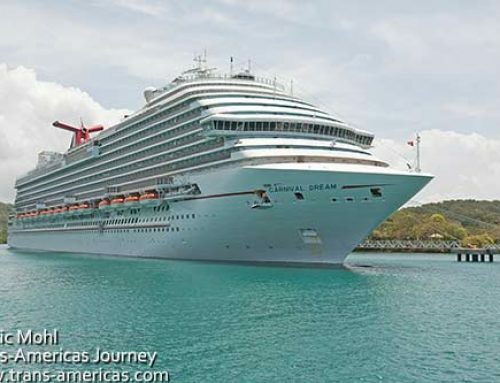 I can’t wait to visit Honduras!